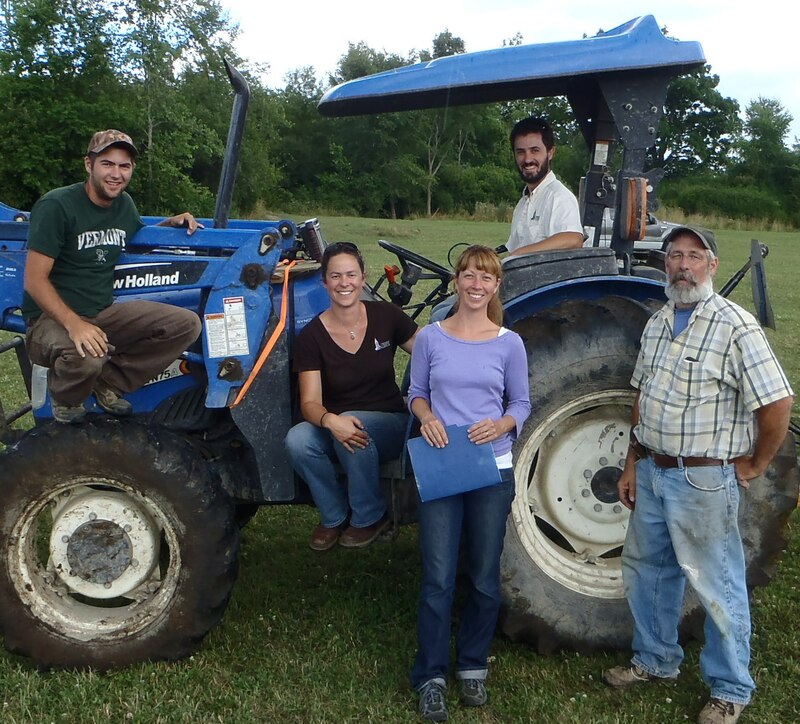 Meet Your Champlain Valley Crop, Soil and Pasture Team! 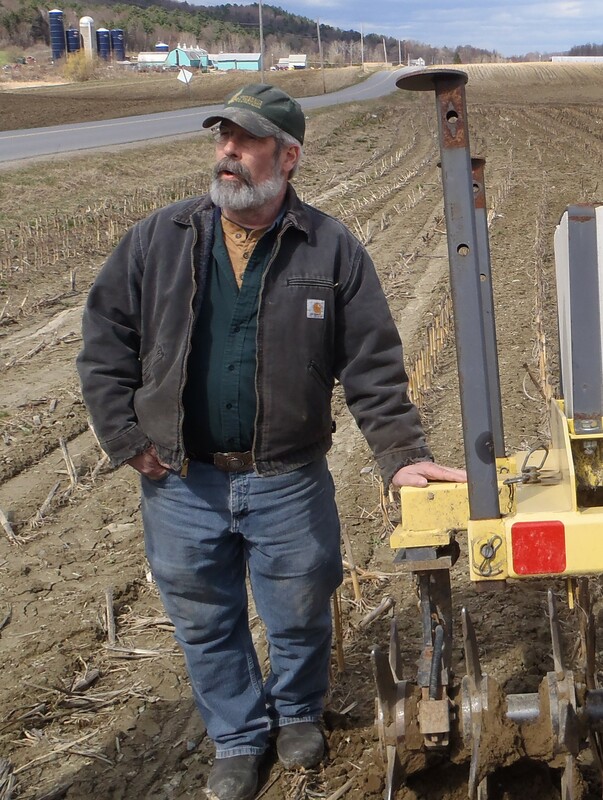 Jeff Carter has worked with farmers all around Vermont regarding crop production including corn, alfalfa, pasture, Christmas trees and wildlife food plots. For 27 years he has provided information on using fertilizer, manure and pesticides; how to grow crops and take care of the soil and; nutrient management planning to meet farm regulations. Jeff works with commercial farmers, backyard growers and public officials to promote agriculture. 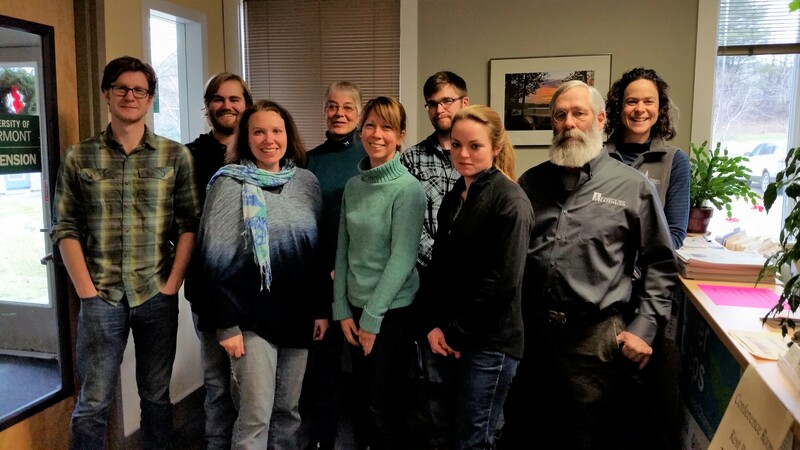 As a UVM Extension Faculty member, Jeff leads the Team out of the Middlebury Extension office. He procures grant funding, provides direction for the team and is the foundation for the work the team does to serve the needs of agricultural producers in the Champlain Valley and beyond. See Jeff’s Faculty Profile HERE. Jeff is a Certified Crop Adviser. Rico Balzano grew up in New Jersey and attended Rutgers University where he earned a bachelor of science degree in plant sciences. For two summers during college, he worked for Rutgers Cooperative Extension as a fruit and vegetable integrated pest management scout. 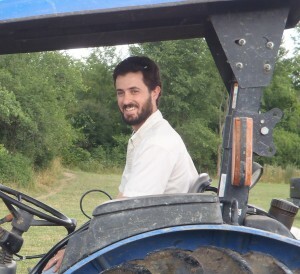 Since graduation, Balzano has worked for a number of commercial agricultural enterprises, including apple and peach orchards, a wine grape vineyard and an organic vegetable farm. He also spent two years as an agricultural technician in New York City’s watershed working with dairy and livestock farmers to reduce nutrient levels in the drinking water supply. Rico is part of the Agronomy Conservation Assistance Program (ACAP), assisting farmers in the central portion of the Lake Champlain Basin. He helps administer the Livestock Exclusion cost-share program, assists farms with Nutrient Management Planning, manages the AerWay aerator that is available to farmers, assists with the No Till Drill project, and is the team’s mapping/GIS expert. Rico, his wife, and their young son live and farm at Little Lake Orchard in Wells, VT.
Rico is a Certified Crop Adviser. 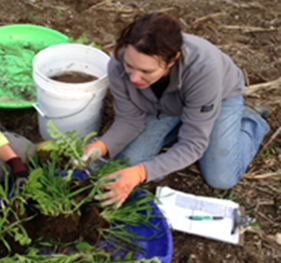 Kirsten works with farmers to implement practices to improve crop production and protect water quality. She started her career in Washington state working for the Mason Conservation District and Washington State University Extension. After 10 years of working with West Coast farmers, she joined the UVM Extension staff in 2011, and hopes to provide practical information that farmers value. She helps farmers understand the importance of Nutrient Management and assists them in preparing and implementing comprehensive nutrient management plans, and lately has been working on cover cropping systems for Vermont farms. She also helps farmers access cost-share funding to implement Best Management Practices on their farms. Kirsten manages the Team’s monthly e-newsletter, Facebook page, YouTube channel, and this website. She is also working on a master’s degree in Plant & Soil Science (Agronomy) at University of Vermont. Her research project aims to provide farmers with information about successful cover cropping systems that make the most of their livestock manure while reducing nutrient runoff and increasing soil health. Kirsten lives in the Winooski watershed with her husband, Paul and two young children, Johnny & Ruby. She enjoys exploring her new home state of Vermont with her family and is excited to have access to some prime Vermont farmland, where she is able to raise more (and larger) livestock than she was able to in the temperate rainforest of the Puget Sound. Kirsten is a Certified Crop Adviser. Cheryl is the team’s resident grazing expert. She works with farmers to get the most out their pastures…balancing the needs of people, plants, animals, and water quality. 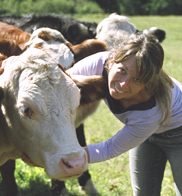 She prepares grazing plans for beef, dairy and other livestock producers, setting up these farms to be as profitable as possible while utilizing one of Vermont’s best crops…Pasture! 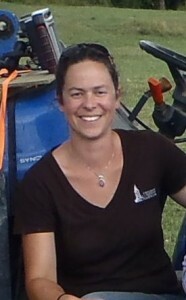 Before joining UVM Extension as a Grazing Outreach Professional, Cheryl spent eight years with the Vermont Organic Farmers (VOF) certification program (part of NOFA-VT) and graduated with a degree in Animal Science from the University of New Hampshire and a Master’s degree from the University of Vermont in Plant and Soil Science. Her agricultural experiences include vegetable farm and greenhouse management, seasonal orchard work, and relief milking on dairy farms. She and her husband Marc graze cows, pigs and chickens at their farm, Meeting Place Pastures, in Cornwall, VT. They direct market their meat and eggs to families and restaurants across New England. Cheryl is a Certified Crop Adviser. Nate grew up on a small dairy farm in Vermont, which helped lead him to a bachelor’s degree from the University of Maine in Ecology and Environmental Science with a concentration in Soil and Water Sciences. 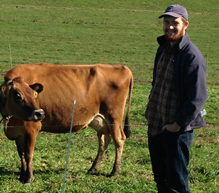 Before moving to Middlebury, he spent a year and a half living on an organic dairy farm in Fairfax, VT and two years working in St. Albans, VT as an Agricultural Resource Specialist helping farmers reduce phosphorus runoff into waterways. As an Outreach Professional, Nate works with farmers to help them with on-farm management decisions. Nate is also the Program Coordinator for the Champlain Valley Farm Coalition, supporting the coalition in organizing events and outreach activities. When not at work, Nate likes to spend time hiking with his wife and dog, as well as helping out on his family’s farm milking cows and managing cropland. Kristin enjoys assisting with a multifaceted group of assignments in Extension, with the aim of helping farmer’s create and maintain more sustainable systems on their farm, particularly focused on soil conservation and nutrient management. Kristin holds a B.S. in Environmental Science and a M.S. in Plant and Soil Science, both from the University of Vermont. Her graduate research focused on biological indicators of soil health and nematode ecology. That work exposed her to the critical value of the living fraction of the soil. Her work in nutrient management began as an intern with Ben & Jerry’s as an undergraduate. However, the roots of her passion for soil science began while playing and working on the farm she grew up on in Vermont. In general she enjoys work that makes research applicable to real world solutions, and she takes a multidisciplinary approach that has led her to work in transportation, sociology and applied economics. In her free time she loves to hike and enjoys gardening, shopping at farmer’s markets, and cooking. Kristin is a Certified Crop Adviser. 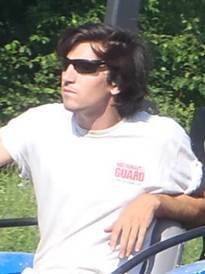 Daniel has lived in Castleton, Vermont for nearly ten years and graduated from Castleton State College with a Bachelor of Arts degree in Environmental Studies. He also has spent time working on vegetable and dairy farms. Daniel has been working with farmers doing soil sampling as well as monitoring the No-Till Drills. In his free time he likes to ski or be out on the lake bass fishing. Karen grew up in Ithaca, NY and worked for the Department of Pomology at Cornell University, and then moved to Stillwater, Oklahoma where she worked in the Departments of Agriculture and then Engineering Technology at Oklahoma State University. She moved again, to Vermont and spent eleven years working as the assistant manager for West Meadows Farm, a 25 acre commercial apple orchard in New Haven, VT with a herd of Scottish Highland cattle. Her other life time experiences include 20 years “horsing around” with horses, being a professional florist; development assistant, event planner; assistant town clerk, 15 years as clerk for the New Haven Development Review Board and a Civil War Cavalry re-enactor. 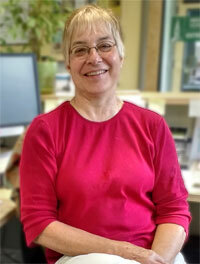 Karen currently lives in New Haven, VT with her husband, two cats and Welsh Corgi Rowan.